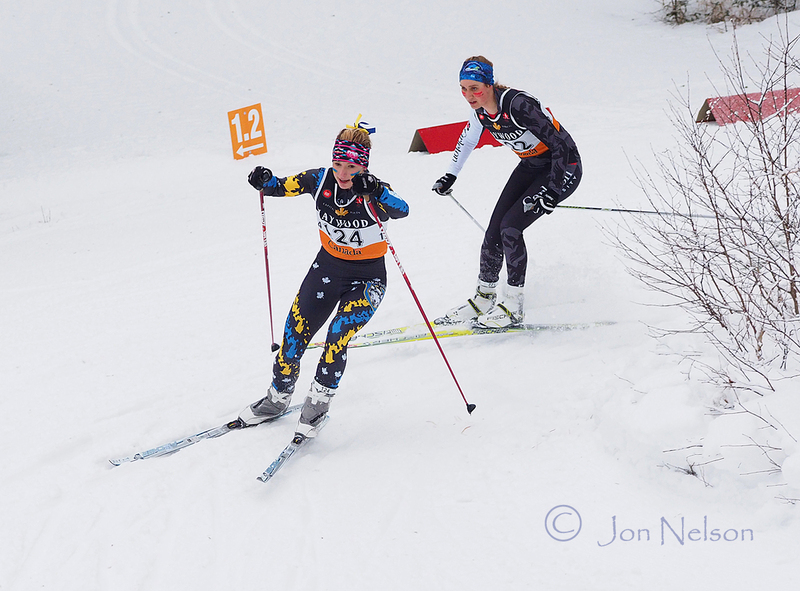 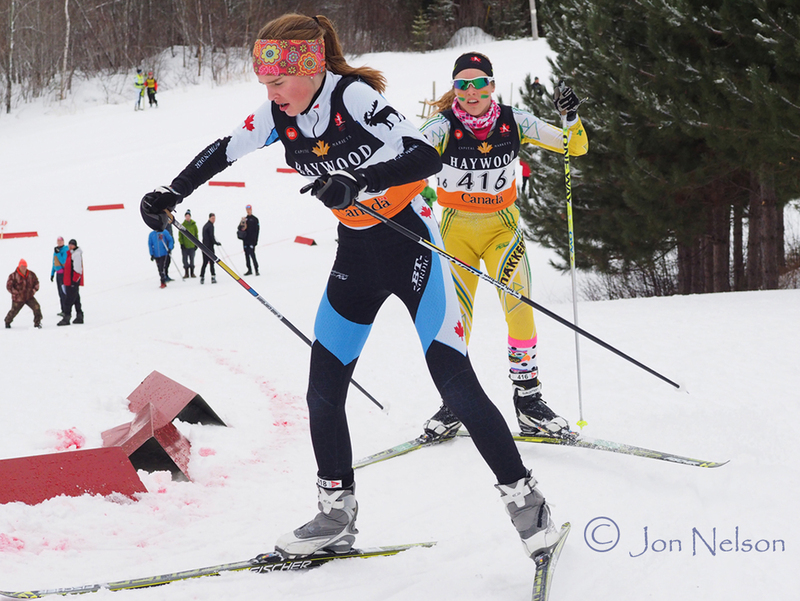 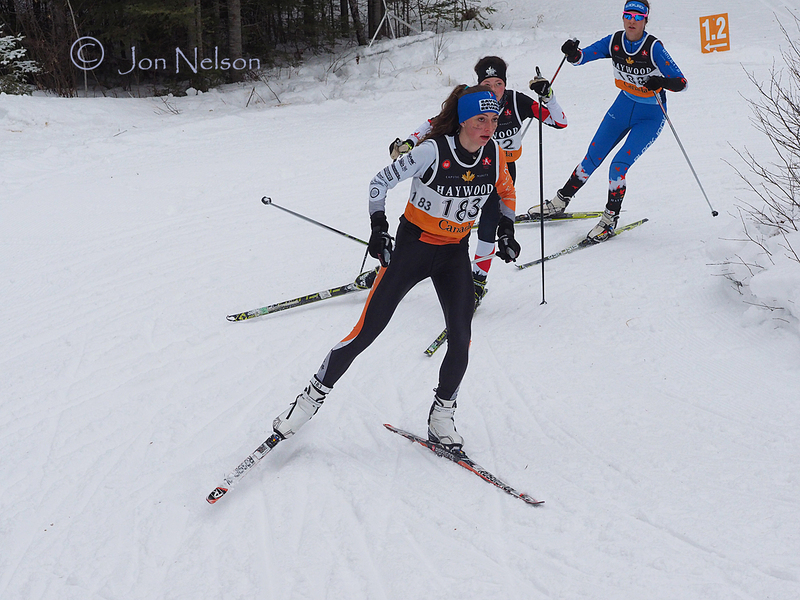 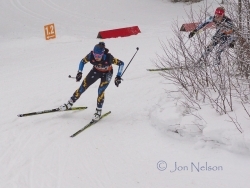 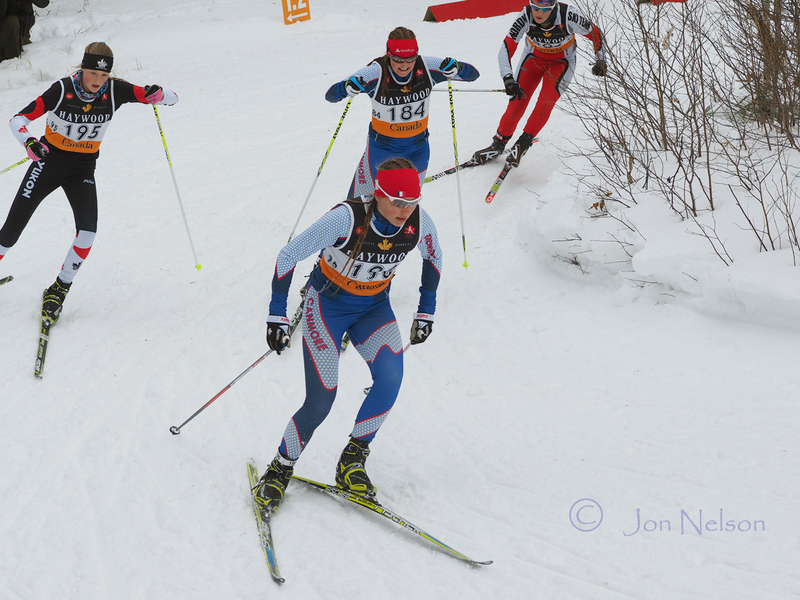 Skibec's Catherine Reed-Metayer charges ahead in an early round of the Team Sprints at the 2015 Ski Nationals. 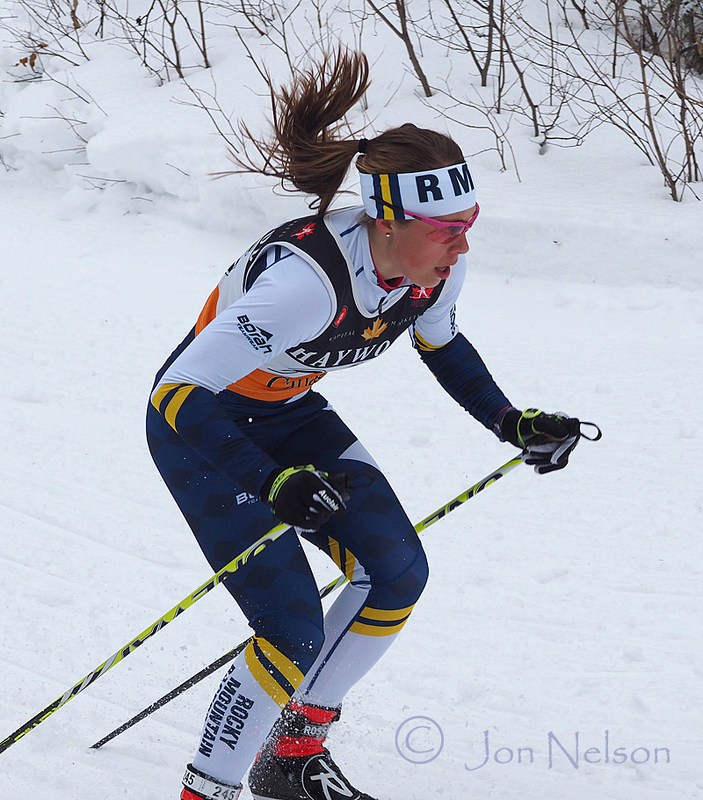 Alannah Maclean teamed with Sadie White to win Gold in the University Team Relay for Lakehead University. 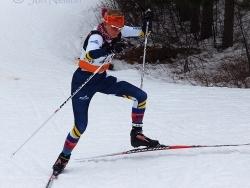 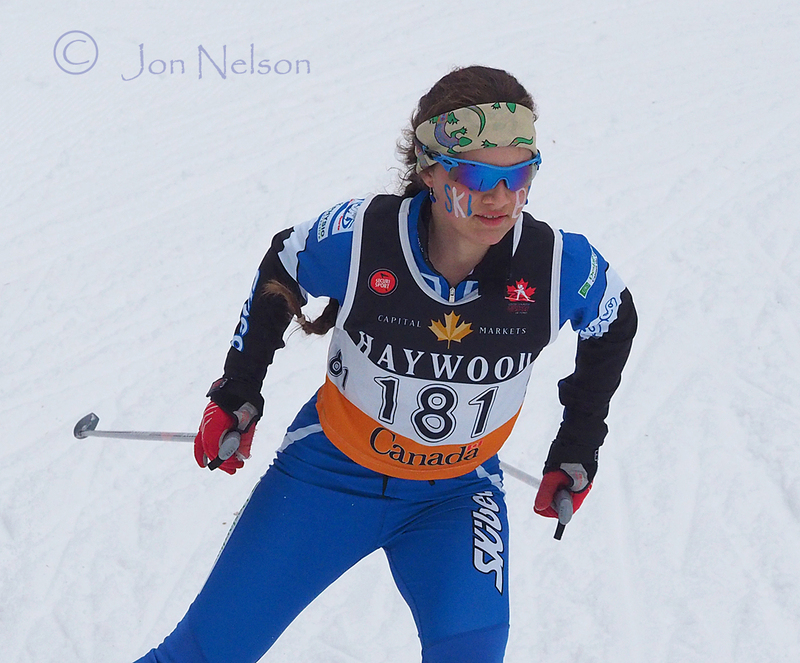 Katherine Stewart-Jones from Nakkertok leads her heat coming out of the turn at the 2015 Ski Nationals . 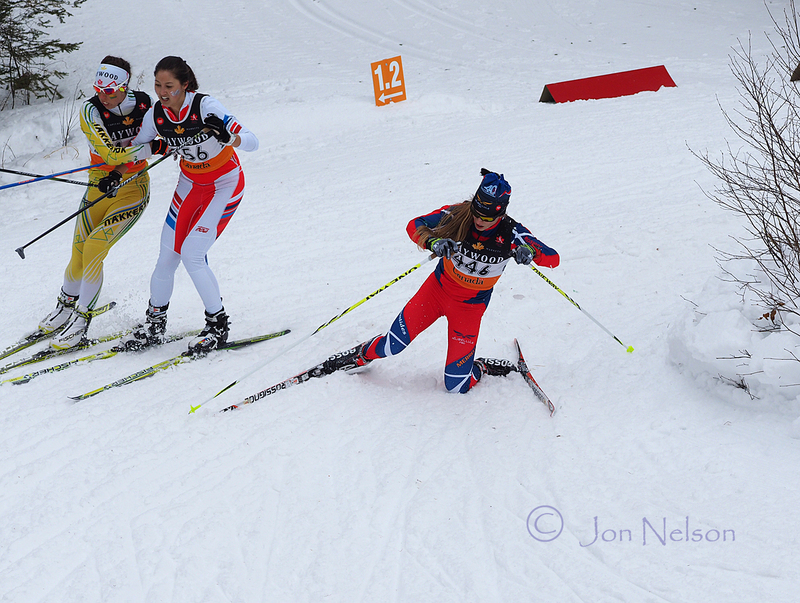 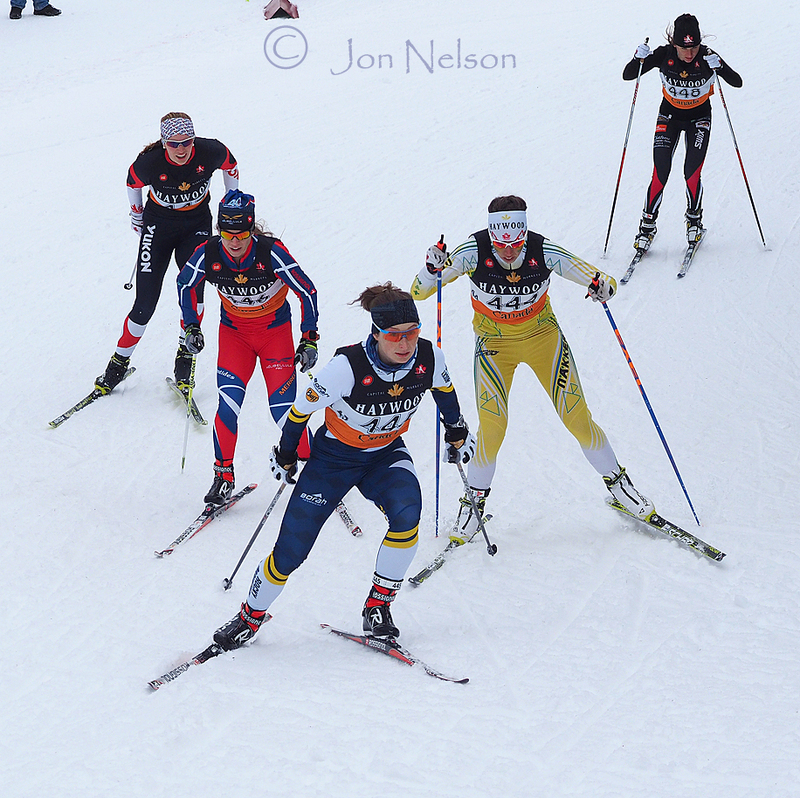 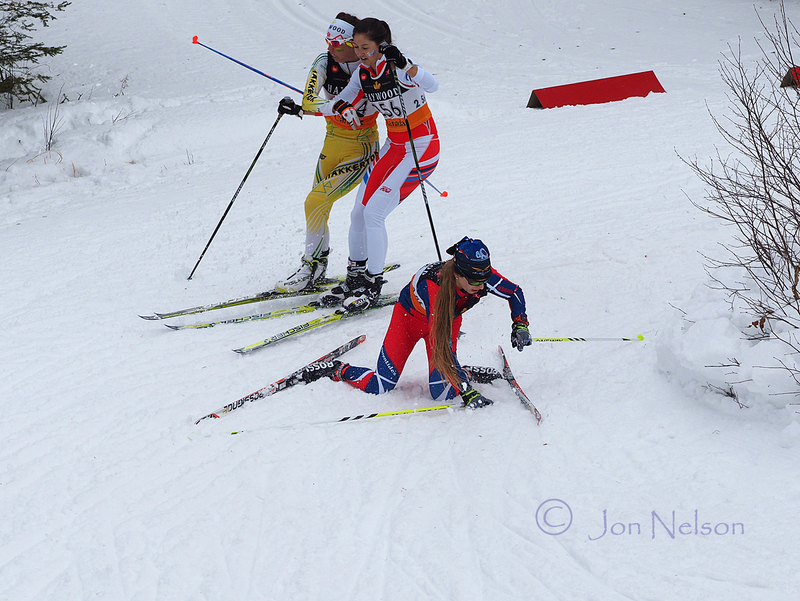 Alex Wood from Big Thunder Nordic turns the corner near the end of the Challenge Girls relay. 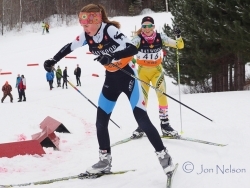 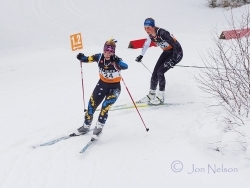 Alison Pouw and Zoe Williams skied to a Gold Medal for Nakkertok in the Challenge Girls relay. 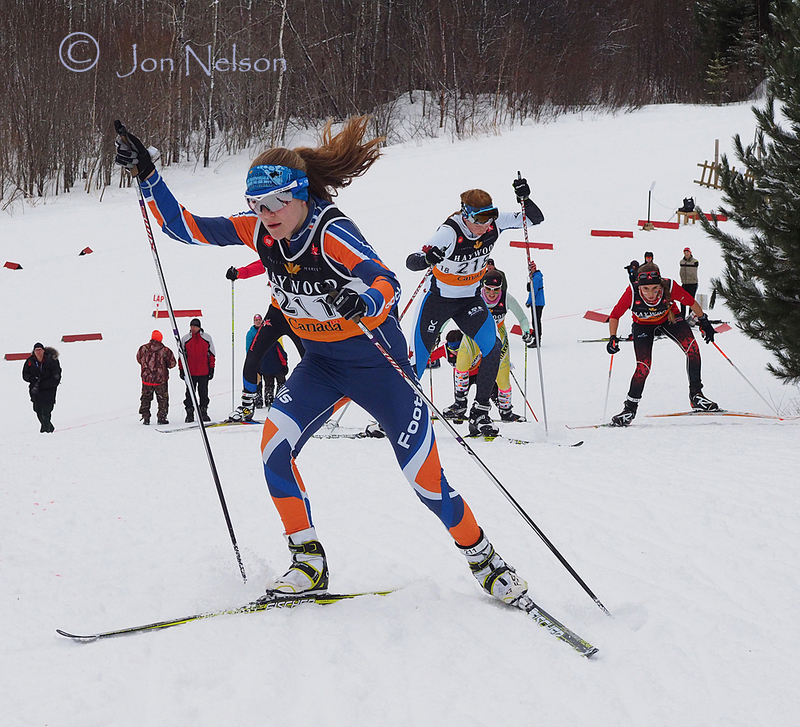 Annika Ackernann, racing for Kimberley Nordic, calmly leads three skiers around sharp corner in a qualifying Team Sprint. 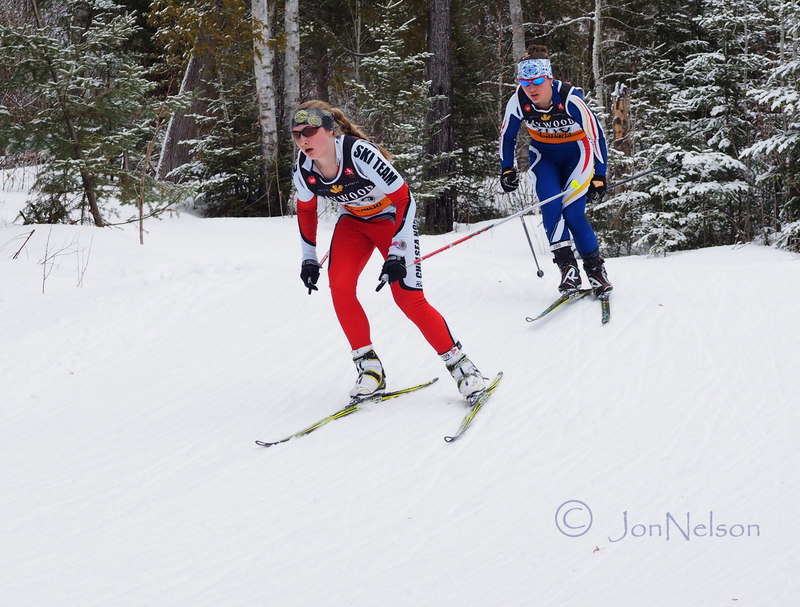 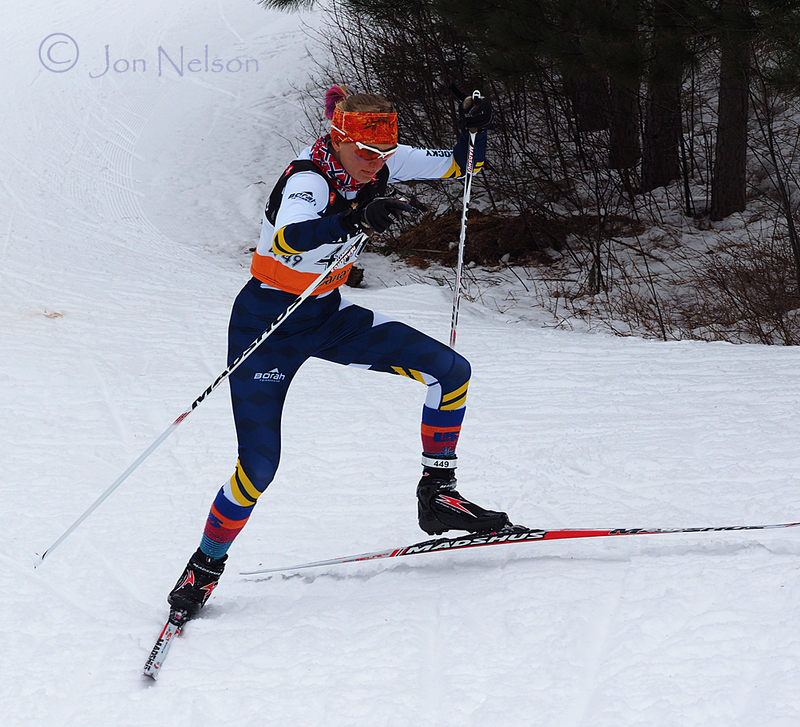 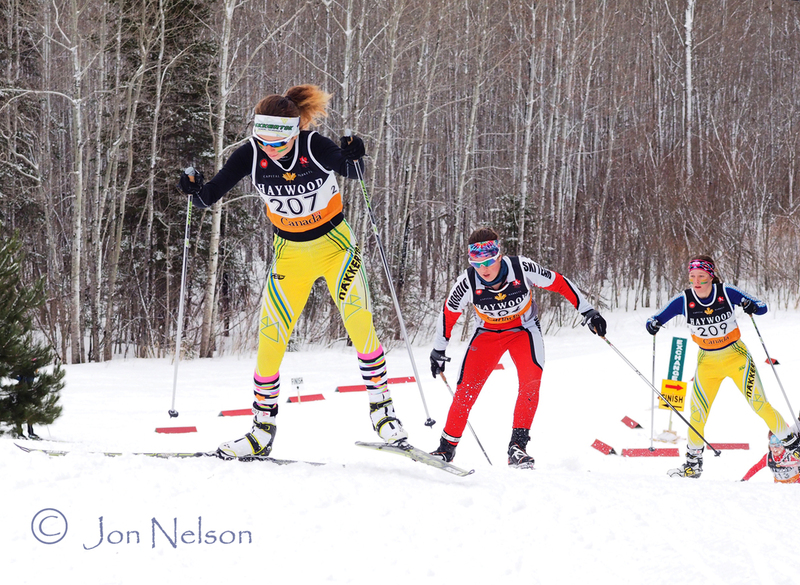 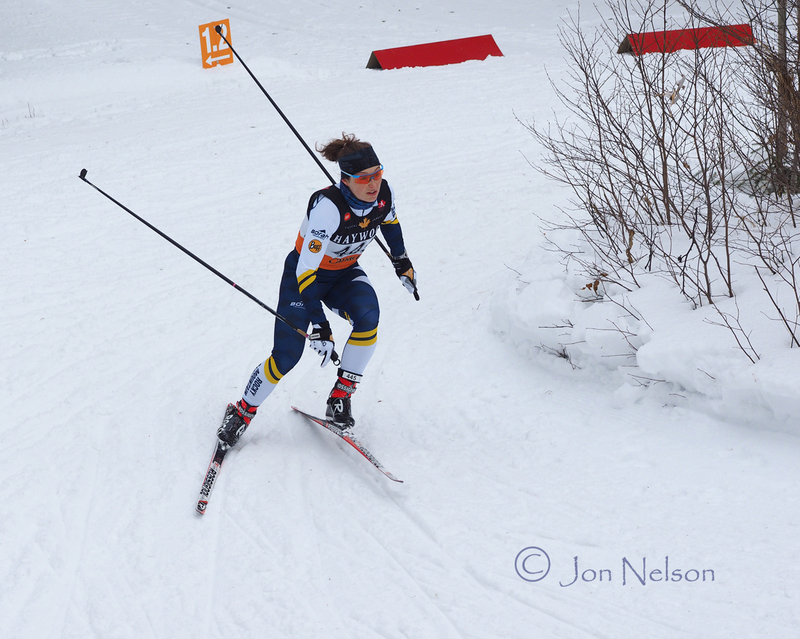 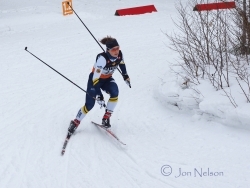 Bryana Van Leeuwen from Lakehead University leads another skier around a turn in a CCUNC Team Sprint race. Maya MacIsaac-Jones with her racing partner Andrea Dupont won the Open Women's Team Sprint at the 2015 Ski Nationals for Rocky Mountain Racers. Tove Halvorsen of Nakkertok looks ahead to the final third of the race. 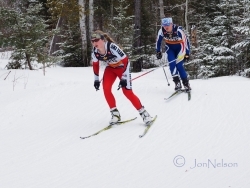 Anna Billowits from Chelsea Nordic leads another skier down a small hill on the twisty Team Sprint Course at Lappe Nordic Centre. 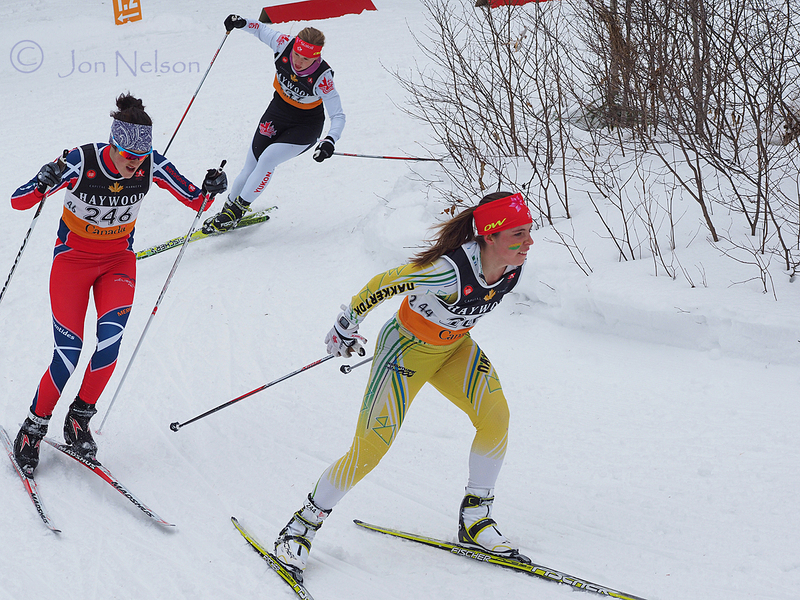 Ann-Catherine Blais begins a slight uphill in a semifinal team Sprint race for Skibec. 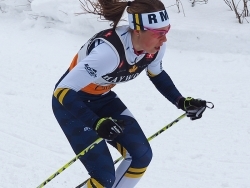 Andrea Dupont and Maya MacIsaac-Jones won the Open Women's Final in the Team Sprint for the Rocky Mountain Racers. 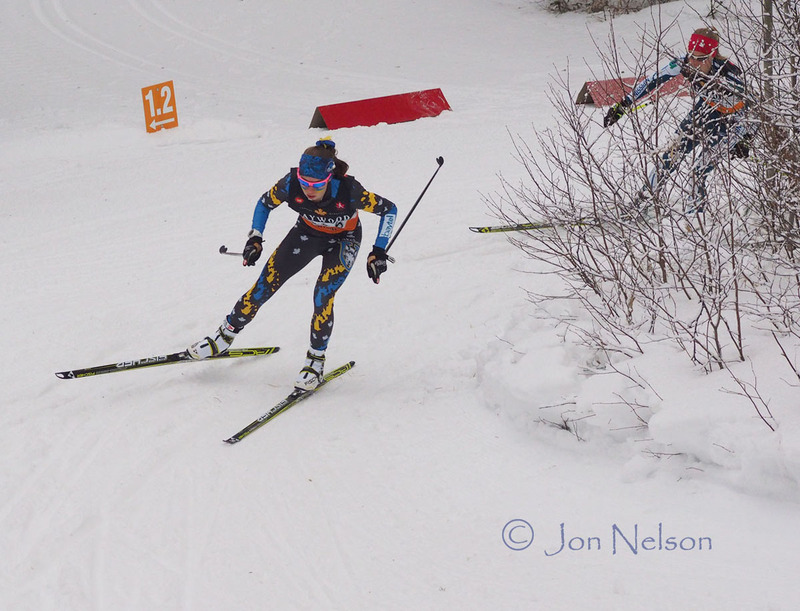 Andrea Dupont calmly leads a semi-final race for the Rocky Mountain Racers. Holly Greer nears top of final hill racing for Foothills Nordic in the Team Sprints. 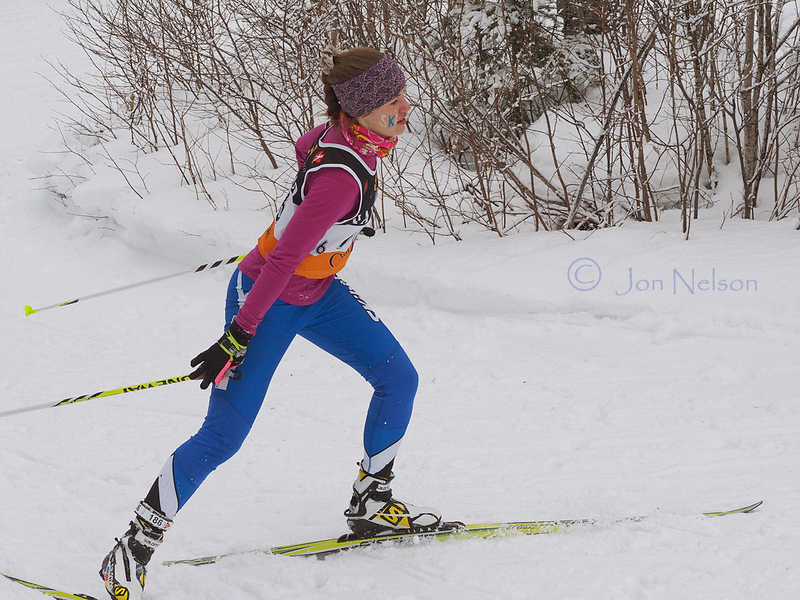 Canmore Nordic's Lauren Turcot leads her heat around one of the final turns. 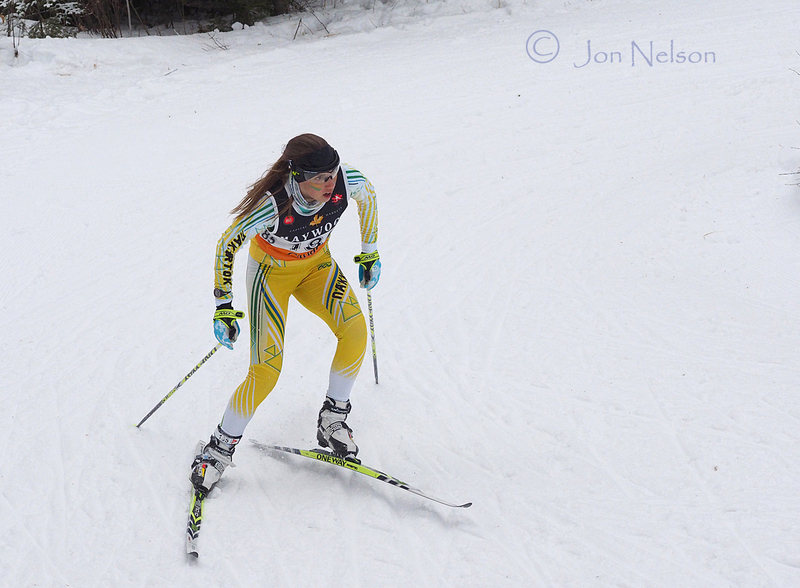 Alexandra Stukator from the Highland Trailblazers completes the sharpest corner in the Challenge Girls relay. 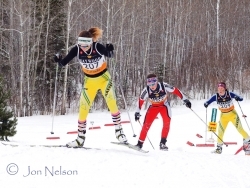 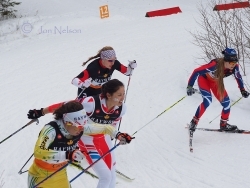 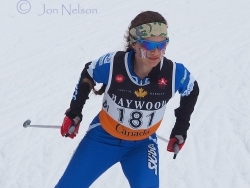 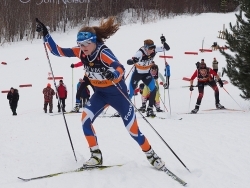 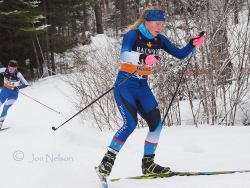 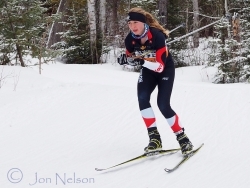 Natalie Hynes sarts adownhill in a Challenge Girl Team Sprint race at the 2015 Ski Nationals at the Lappe Nordic Centre. 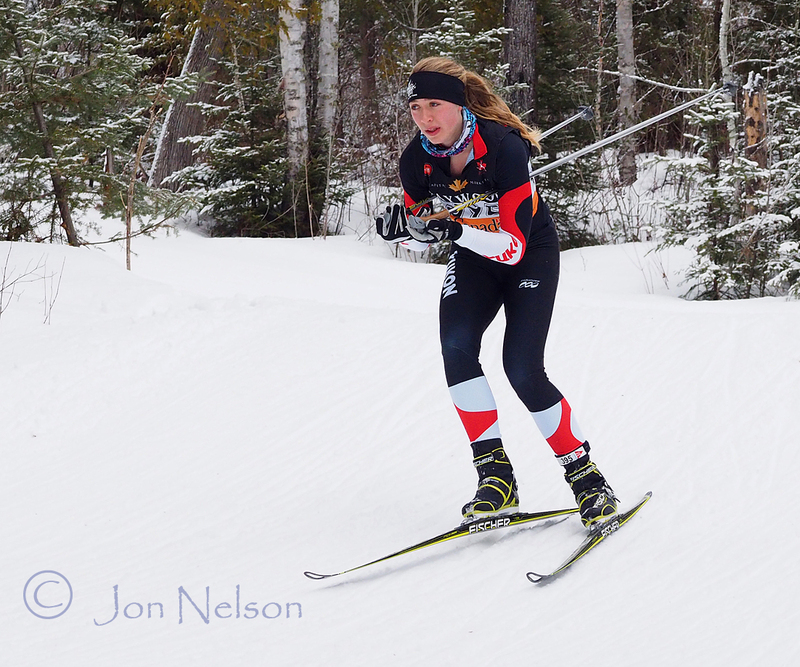 Ember Large from Rocky Mountain Racers charges uphill during a Team Sprint race at the 2015 Ski Nationals at the Lappe Nordic Centre.